Just think of your layout before you jump to design a website. Ask some questions to yourself before start of the designing process. Does my layout will have the same impact on a wide range of screens starting from desktop monitor to mobile phones? 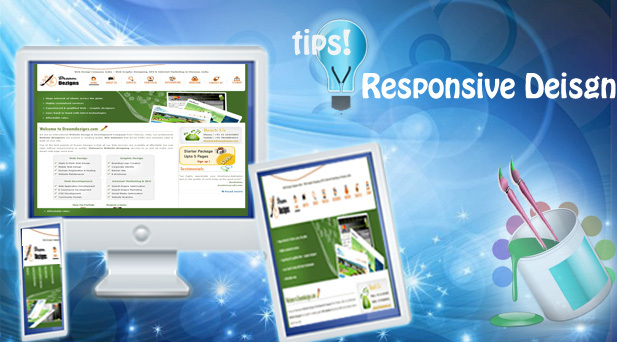 If there is a need to have a responsive web design, then focus on width conditions. Frequently used major resolutions are 480, 760, 1024 approximately and minor resolutions are 320,728,900 approximately. Define your breakpoints accordingly with smart phones, iPads, desktop versions. Check up with your layout when it is being grown or shrink in a ridiculous way when displayed on really large or small device. Make a master container containing a fixed or fluid content where everything can be inherited from it. For your mobile website creation with responsive web design technique, please contact Dream Dezigns.